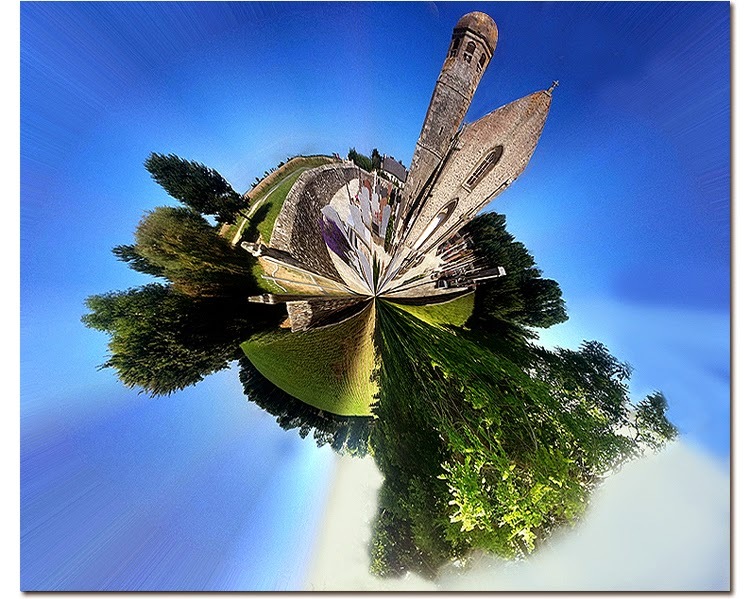 This Round Scape of the Church of our Lady in Gouberville was one of those ideas that i had been meaning to get around too. Often the coastal churches carry the symbolism of the sea and in some three masted sailing ships hang precariously above the aisle and altar. Most of the churches in this area follow a pretty similar design. If you have seen any French Impressionist paintings of village landscapes then you may well have noticed them on the horizon. ( If you haven't they look like this ). This one has had the tower added afterwards and when i first saw the turret I thought it was based on a Minaret. 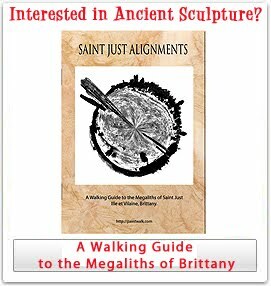 The Roundscape here is of the landscape around Église Notre Dame de Gouberville a 15th century church on a coastal point situated on the North Coast of the Cotentin in Normandy. There was a very bright light on that day that overwhelmed the camera but has added to the overall effect of the round scape. 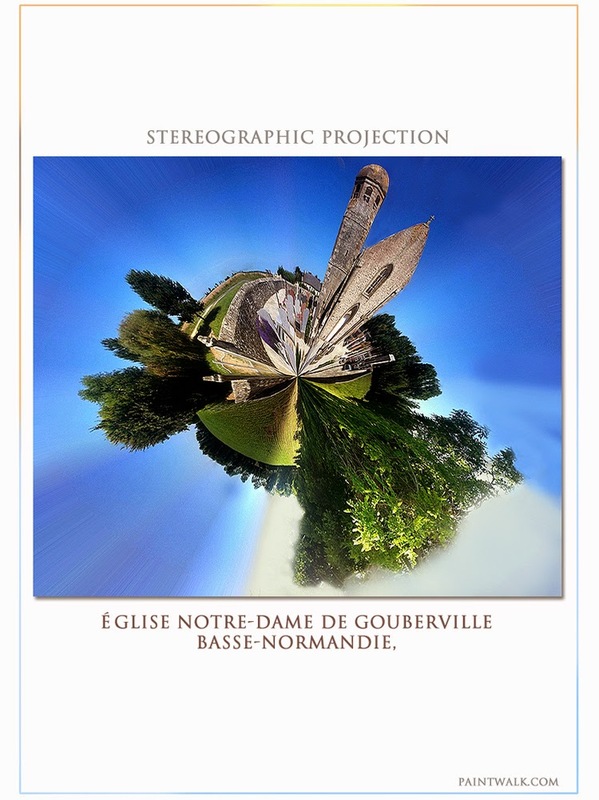 Above is a video panorama of the scene used to create the Stereograpic projection 360 degrees of Goubersville Church. 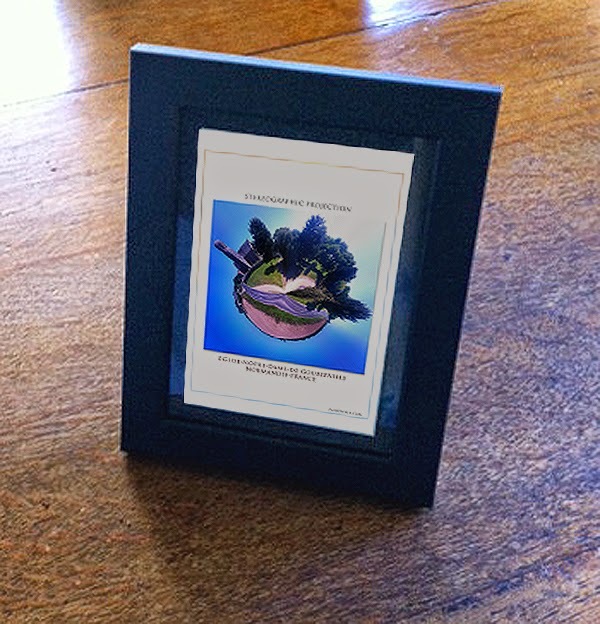 Round Scapes are framed original digital photographs of landscapes. Photographing panoramic landscapes allows me to manipulate these images into stereographic projections sometimes known as little planets. The view you end up with is a 360 degree landscape manipulated into a globe.